Rhamnose is a high-value carbohydrate used in flavorings, aromatics, and pharmaceuticals. Current demand for rhamnose is filled through plant-based sources; however, microbially originated rhamnolipids have been proposed as an alternative source. A mixed microbial biofilm, cultured from a wastewater sludge, was found to comprise > 8 dry weight% rhamnose when provided volatile fatty acids as carbon source, and 24 dry weight% when given glucose. The latter rhamnose concentration is a fourfold higher production mass than the current plant-based origin and is competitive with yields from pure microbial cultures. The biofilm was characterized based on total carbohydrate production at varying nutrient levels, individual carbohydrate monomer production from varying organic acid substrates, and microbial community composition—based on 16s rRNA. Biofilm carbohydrate production was maximized at a C:N ratio of 28 (mol:mol). The production of rhamnose varied significantly based on carbon substrate; glucose had the greatest yield of rhamnose, followed by propionic acid, lactic acid, acetic acid, valeric acid, and butyric acid. Microbial community analysis indicated an abundance of organisms within the Xanthobacter genus, which is known to produce rhamnose as zeaxanthin rhamnoside. Rhamnose production was heavily correlated with ribose production (R2 = 0.96). 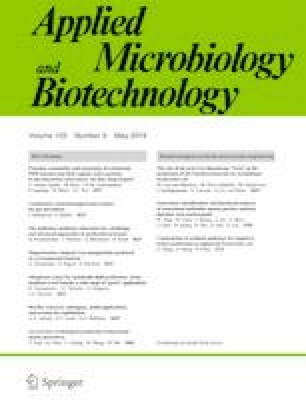 Results suggest that mixed microbial biofilms could be a competitive source of monomeric rhamnose that may be produced from mixed organic waste streams of variable composition via volatile fatty acids and glucose. The authors wish to thank Dan Hoban, Meilin Jiang, and Trevor Shoaf for assistance in biofilm cultivation; Linda (Xingya) Liu for assistance with HPLC; Drs. Eduardo Ximenes, Nathan Mosier, Zhi Zhou, and Loring Nies for guidance in experimental setup; Julia Burchell and Dr. Ximing Zhang for assistance with GC; and Bob Roudebush, Clay County IN WWTF, for help in acquiring the seed culture. The present publication was developed under STAR Fellowship Assistance Agreement no. FP-91780201-0 awarded by the US Environmental Protection Agency (EPA). It has not been formally reviewed by EPA. This research was also supported in part through the Alfred P. Sloan Foundation’s Indigenous Graduate Partnership (IGP) Program (2014-6-05), and through support from Pioneer Oil. The views expressed in this publication are solely those of Dr. Raymond M. RedCorn, Ethan Hillman, Dr. Kevin Solomon, and Dr. Abigail S. Engelberth, and EPA does not endorse any products or commercial services mentioned in this publication.